These wide-ranging stories resonate in the way of only the finest writing and the most pleasurable reading. There are storylines that seem straightforward on the surface but have a dozen things circling underneath, others that sit just off-centre with a particular lens trained on human behaviour. All of them zoom in on life’s unknowable points, strange moments around which fortune turns; all make superb use of ambiguity and foible. Fiona McFarlane can sculpt a character with one telling observation, turn a story with a single line. Her proclivity for seeing the bizarre in the ordinary, her sense of mystery and wit, and her deftness with detail make her that prized thing - a seriously good writer who is also effortlessly readable. And her ability to tell an unlikely storyline in a way that convinces utterly makes her a true original. The High Places is richly nuanced writing full of surprises. When asked ‘What do you think makes a good story?’ Fiona McFarlane replied, ‘The best stories take a leap into another life, and threaten to strand us there.’ After reading McFarlane’s collection of short stories I admit I was more than happily stranded in most of them. The diversity of themes, timelines and characters made every story refreshing, and McFarlane’s writing is accomplished. For readers who spurn the modern short story because they feel nothing happens in them, these are meaty stories, loaded with plot. McFarlane’s debut novel, The Night Guest, stunned readers and critics alike and was shortlisted for the 2014 Miles Franklin Award. This collection of thirteen stories will have general appeal. In my favourite story, ‘Rose Bay’, a woman named Rose is visited by her sister Susan, young niece and nephew. It’s after World War II, and Susan will be travelling to California to visit her in-laws following her husband’s death. McFarlane weaves in some subtle revelations about Rose’s love life, and in combination with the grieving family and the niece’s imaginary friend, there is a dramatic climax at Taronga Zoo. Many stories contain the theme of human and animal connection and inter-reliance. A vet has a car accident on her wedding day whilst travelling to treat a sick cat. A scientist researching a giant squid becomes affected by malaria, and obsesses over a plan to free the squid. Familial relationships are also explored in all their guises. 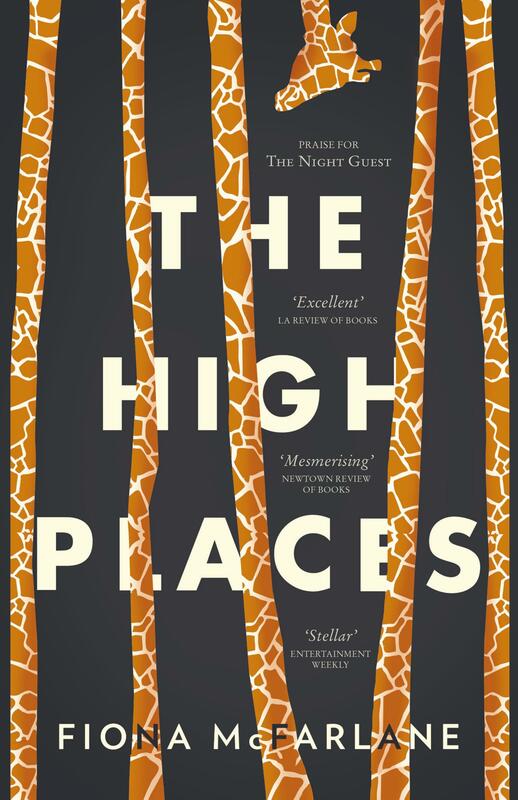 In the title story, ‘The High Places’, a farmer worn down by years of drought doesn’t know whether to believe that his bible-quoting son can bring rain, or whether the boy is crazy. The farmer decides to take a chance on a road trip with his son to a ‘high place’ where the son believes they must sacrifice some of their sheep. They drive for hours, hot and feverish when they run out of water, and after the sacrifice, each asks for what they desire most, surprising each other.